It's an awkward time of year for wine enthusiasts all over. Everyone has rinsed their summer budget and is now saving up for the cold winter months and of course, the Christmas blow-out. Saving for Yuletide boozing can be a right pain in the bum, so with this in mind, I have a few recommendations that will keep you good and tipsy throughout the autumn months and leave you enough left over to splash out on that bottle of Bollinger you've been wanting for Christmas morning. Take that sober October! I know it's the most popular white wine in the world, but it is so with good reason. Sauvignon Blanc is grown in the vast majority of wine producing countries. With it being so abundant, it's quite often very well priced. Take the Phantom River Sauvignon Blanc from Chile. It has all the hallmarks of a good Sauvignon with tropical notes, citrus flavours and lashings of herbs. A really good, in your face Sauvignon for the princely sum of £4.99 a bottle from Sainsburys. Next up is one I've drunk many times before. 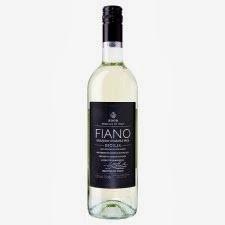 Tesco's Finest Fiano has an abundance of stone fruit flavours and floral aromas, followed nicely by a marvellously well refined acidity. What makes this even better is that it's on offer until the 13th of October down from £7.99 to £5.99. Quick! For the Reds I can't look any further than South of France. From high street favourite Majestic comes the Mont Saint Jean Corbieres. Made from the classic blend of Grenache, Syrah and Carignan, this wine shows succulent blackcurrant flavours with hints of spice. The tannins are very well tamed which make for an excellent everyday drinker for a cracking £5.99 a bottle when you buy 2 or more. 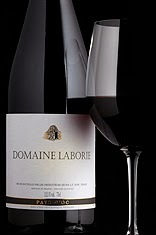 Finally, from everyone's favourite wine club The Wine Society, comes the Domaine Laborie, a household favourite of all of the Vinspire team. Made from a similar blend to the aforementioned Corbieres, the spice notes are slightly more dialled back, allowing the gorgeous black fruit flavours to shine through. It's lighter than most Southern French styles, both in body and in alcohol, making it perfect for this changeable time of year. Did I mention it's also only £5.50 a bottle? So carry on saving for your Christmas booze knowing that you can warm yourself up on chilly evenings with something delicious for less than £6. This concludes our public service announcement.